MSTW Bracket Builder Premium is the leading WordPress plugin for creating and maintaining tournament brackets. Nothing else comes close! 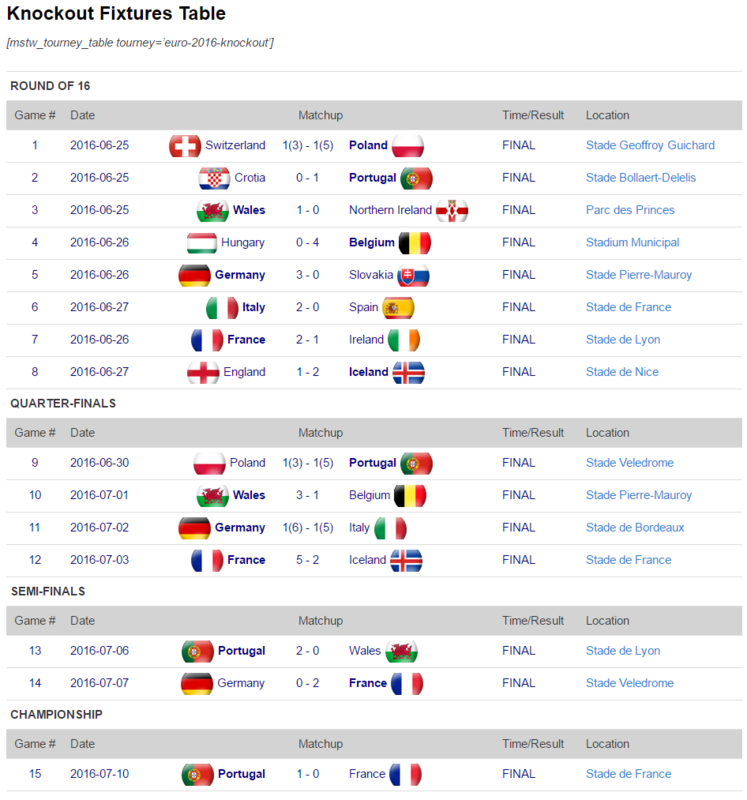 Create and manage tournament fixture tables (game schedules) and knockout round brackets simply and easily. The automated admin process lightens your workload, and the simple shortcodes will make your site pop. Automatic 1st round scheduling by established seedings or with user-defined game pairings. Automatic handling of “BYEs” (free pass to next round). 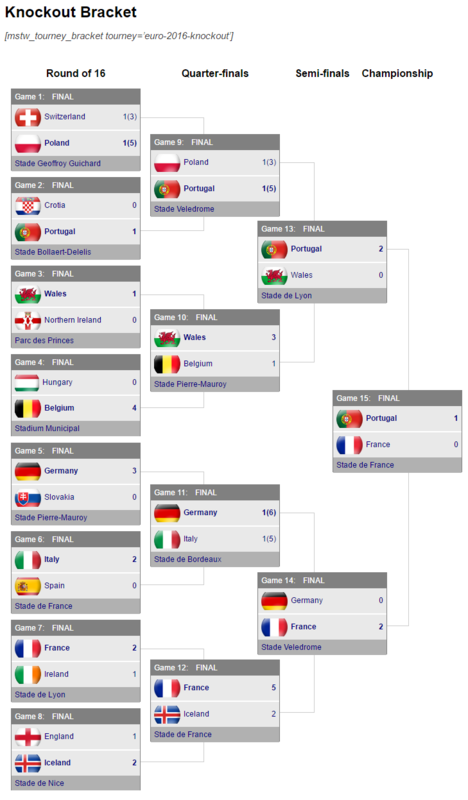 Automatic handling of game results – winner is advanced to next round when game goes final (as well as first-time losers for double elimination brackets). NOTE 1: You MUST deactivate and delete the free version of the plugin before installing the premium version.